Official site of the Marine Corps Commandant's Professional Reading List per ALMAR 005/19. This colorful document lists the books in order of levels, and indicates ebook and audiobook availability online through MCCS lIbraries and NavyMWR Digital Library. Lists availability of ebook and audiobook formats only, via NavyMWR Digital Library (CAC or DS logon required). Not all titles on the list are available. History of the Korean War written from the perspective of those who fought it. Partly drawn from official records, operations journals, and histories, it is based largely on the compelling personal narratives of small-unit commanders and their troops. As Americans and North Koreans continue to face each other across the 38th Parallel, this book offers vital lessons for the future. Neal’s memoir explores life as a company grade officer going off to combat in Vietnam, as well as the post-war challenges that his generation of officers had to overcome in the Marine Corps. 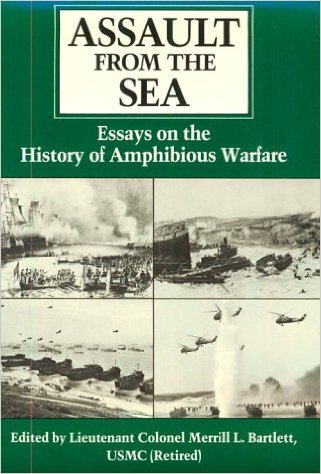 This collection of 51 essays provides a history of amphibious landings that include European, Asian, and American operations. It describes in detail some of history's most significant amphibious assaults, as well as planned attacks that were never carried out. A reprint of Field Marshal Erwin Rommel's World War I military classic autobiography, Infanterie Greift An. Rommel traces his development from a “green” Lieutenant to a confident, seasoned and singularly successful Commander. IIt is an important treatise on combat leadership and psychology, containing many valuable lessons for those who would raise and train armies. Prime among these lessons is the reminder that men are the key element in combat; that it is the will, spirit and skill of men, led by competent and courageous officers that win battles; and high morale is developed by the accomplishment of difficult tasks. Story of a small group of soldiers from the 101st Airborne Division’s fabled 502nd Infantry Regiment - “the Black Heart Brigade.” Deployed in late 2005 to Iraq’s “Triangle of Death”, the Black Hearts found themselves in the country’s most dangerous location at its most dangerous time. It is a story about men in combat, the fragility of character in the savage crucible of warfare, and a warning of new dangers emerging in the way American soldiers are led on the battlefields of the twenty-first century. Thanks to smartphones and tools such as Google and Wikipedia, we're able to feed any aspect of our curiosity instantly. But does this mean we are actually becoming more curious? Absolutely not. In Curious, Ian Leslie argues that true curiosity-the sustained quest for understanding that begets insight and innovation-is becoming increasingly difficult to harness in our wired world. We confuse ease of access to information with curiosity, and risk losing our ability to ask questions that extend our knowledge gap rather than merely filling it. Worst of all, this decline in curiosity has led to a decline in empathy and our ability to care about those around us. At the outbreak of the Korean War, the Marine Corps was ordered to deploy an air-ground brigade in less than ten days, even though no such brigade existed at the time. Assembled from the woefully under strength 1st Marine Division and 1st Marine Air Wing units, the Brigade shipped out only 6 days after activation, sailed directly to Korea and was in combat within 96 hours of landing. 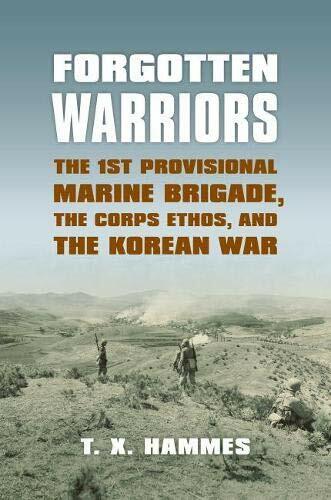 Despite these enormous handicaps and numerically superior enemy forces, the 1st Provisional Marine Brigade won every one of its engagements and helped secure the Pusan Perimeter. Autobiography of the first black aviator in the United States Marine Corps. After earning his wings in 1952, Petersen saw combat in Korea and Vietnam where he flew over 350 missions. He commanded at the squadron, group, brigade, and Marine Aircraft levels during his career as a Marine aviator. Neptune's Inferno is at once the most epic and the most intimate account ever written of the contest for control of the seaways of the Solomon Islands, America's first concerted offensive against the Imperial Japanese juggernaut and the true turning point of the Pacific conflict. Study of the techniques the military uses to overcome the powerful reluctance to kill, of how killing affects soldiers, and of the societal implications of escalating violence. It includes information on 21st-century military conflicts, recent trends in crime, suicide bombings, school shootings, and more. In Out of the Mountains, David Kilcullen, one of the world's leading experts on modern warfare, offers a groundbreaking look ahead at what may happen after the war in Afghanistan ends. If you cut off a spider's head, it dies; if you cut off a starfish's leg it grows a new one, and that leg can grow into an entirely new starfish. Traditional top-down organizations are like spiders, but now starfish organizations are changing the face of business and the world. What's the hidden power behind the success of Wikipedia, craigslist, and Skype? What do eBay and General Electric have in common with the abolitionist and women's rights movements? What fundamental choice put General Motors and Toyota on vastly different paths? This book explores what happens when starfish take on spiders and reveals how established companies and institutions, from IBM to Intuit to the U.S. government, are also learning how to incorporate starfish principles to achieve success. Focuses on four revolutions in military affairs and describes how inventions ranging from gunpowder to GPS-guided air strikes have remade the field of battle and shaped the rise and fall of empires. The author argues that even as cutting-edge technologies have made America the greatest military power in world history, advanced communications systems have allowed decentralized irregular forces to become an increasingly significant threat.